Start James Watt, Full Steam Ahead! 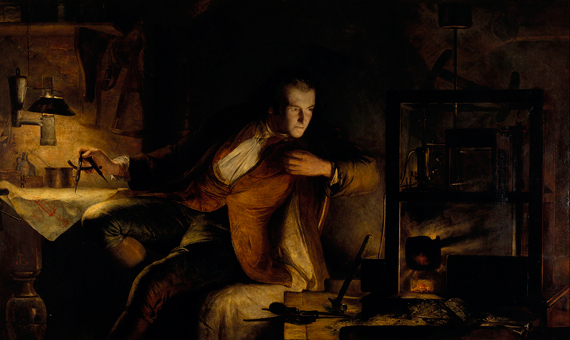 James Watt stepped on the accelerator of the Industrial Revolution. With all the improvements he invented for the steam engine, he managed to turn it into a much more profitable and powerful worker than men and horses, which it replaced in tasks requiring brute force. The revolution started in the mines and then spread to factories and transport; by the end of the eighteenth century the appearance of European cities had begun to change completely. The steam engine was an evolution of the pressure cooker. A hundred years earlier, its inventor, the Frenchman Papin, noticed all that power of the compressed steam and it occurred to him that instead of letting it escape, he could make it move a piston, pushing it upwards like when the plunger of a syringe is pulled. Soon after, the Englishman Newcomen improved the design and began to use it to pump water out of the mines. However, the evolution stagnated for 60 years until the Scotsman James Watt (1736-1819) had to repair one of Newcomen’s machines. When Watt managed to get the machine running, it seemed to him that it consumed too much and he decided to improve it. He saw that three quarters of the steam power was lost because the inner chamber had to be cooled in order to condense the steam and lower the piston. Watt applied his wits to solve the problem by adding a second chamber to which the steam escaped after moving the piston, so that the next jet of steam entered the chamber that was already at a high temperature and no energy was wasted in reheating it. His machine was more efficient, consuming much less coal to do the same job. Watt patented it in 1769 and sought a partner to run the financial part of the business. His machine pumped the water from the mine much better and it lowered the consumption of coal, the fuel used to produce the steam, which in turn made the use of the machines cheaper. Everything fit. But some businessmen were reluctant to modernize. To explain the advantages to them, Watt compared the power of his invention with the work done by a horse when moving a mill for an hour. With that marketing trick he managed to improve the sales of his first “10 horse machines” and also created a unit of measure of power: the horsepower (hp). 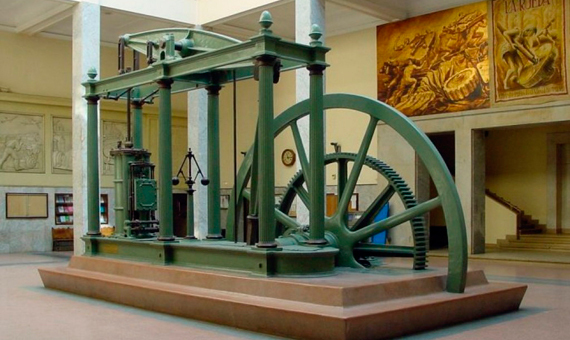 As a tribute to the Scottish engineer, the standard power unit today bears his name: watt (W). The human brain operates at a power of 20 to 40 W, somewhat less than the 60 W of a typical domestic light bulb, although there are also bulbs of 100 W, the same as the whole human body consumes. Operating at 7,457 W, the first Watt steam engines were not very powerful, so he invented one system to double the power, another so that they would run automatically and he continued to make more improvements. The possibilities of his steam engines were no longer limited to pumping water. Large factories, mass production and new means of transportation were all born. The American Robert Fulton built for Napoleon the Nautilus, a prototype of a steam submarine, and in 1807 he developed the first of the steamboats that sailed the great rivers of his country and that appear in The Adventures of Tom Sawyer and other novels of Mark Twain. The first steam train dates from 1814, the same year in which the Times newspaper of London installed a steam press that, in only two hours, did the work that had formerly taken a whole day. By this time Watt was already rich, having retired in 1800, and he lived to see all these innovations, but he failed to see how, years later, a new science would emerge, the daughter of his steam engine. The technology of that invention was not based on any scientific theory, so the French physicist Sadi Carnot began to study it scientifically, and from there was born the science of thermodynamics.